WELCOME! 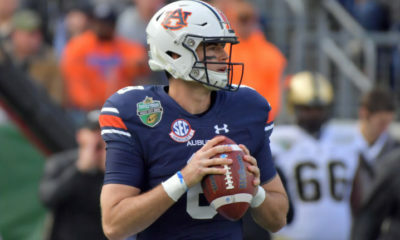 This is the first official mock draft of the 2019 draft season, and boy am I excited. This draft is loaded in a few key positions, like edge rushers, offensive linemen, tight ends, and wide receivers. The talent is oozing off the board, except at quarterback. With some interesting picks for the Raiders and Redskins, some no-brainers and a few long shots, stay tuned and let us know what you think for your team’s pick! This version will *NOT* include any trades. Personally, I think this pick will be traded. But if not, I think Williams is the pick. The most dominant player in college football last year will add some much-needed help to the interior. Combining insane power with good technique and a high IQ, the ceiling doesn’t exist for Williams. 2015: DE, 2016: DE, 2017: DE. And I can’t argue with them grabbing McGlinchey in 2018. What I can argue with is them passing on Bosa at two. He’s an instinctive and explosive technician on the edge that has the potential to be an every down nightmare at the next level. EDGE! EDGE! EDGE! Josh Allen racked up 21.5 tackles for loss and 17 sacks last season. He also forced five fumbles. The Jets need help on the defensive front, even if they don’t part ways with Leonard Williams and Allen can contribute right away. Also, Josh Allen having a chance to chase down Josh Allen for a sack, c’mon? Two words. EDGE. RUSHER. Two more? Khalil. Mack. These are both things the Raiders don’t have (once had) but could definitely use. Time to re-up. Brian Burns is a dude! One of the least intimidating defensive units in the NFL needs a dude! He’s a technical assassin on the front line with a crazy amount of flexibility. The Raiders truly can’t miss here. Widely regarded as a top-three talent most of his career, a knee injury in 2018 and lack of improvement caused some red flags to be waved along with a serious size concern. But let’s be honest, Oliver is unreal. Playing him alongside Vita Vea would be unreal. There’s a ton of risk in this pick, but it’s also one that could push the Bucs to the next level. I know…. Eli Manning, right? Well sadly for Giants fans, it doesn’t look like that’s changing so far, and let’s not be silly and forget about that abysmal offensive line. I mean, whomever they decide will play quarterback will be mauled anyway, so first things first, let’s get some technicians up front. 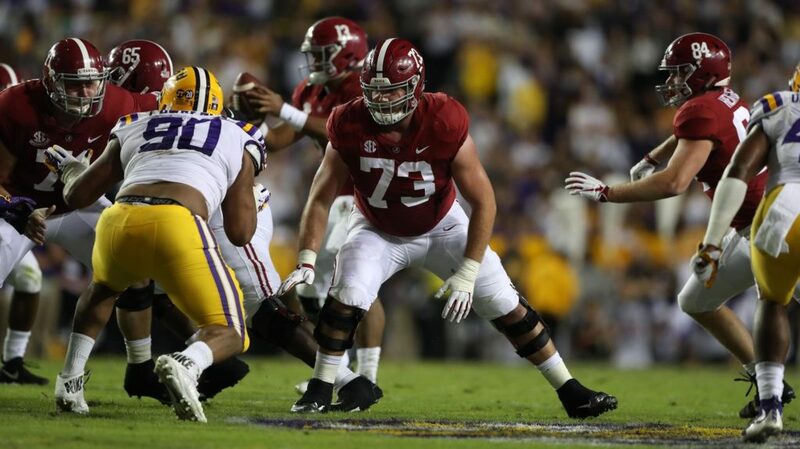 This won’t be a friendly pick, but Jonah Williams has the IQ and athleticism to play multiple positions on the front. A physical freak with high upside is exactly what New York needs right here if they choose not to grab a quarterback. 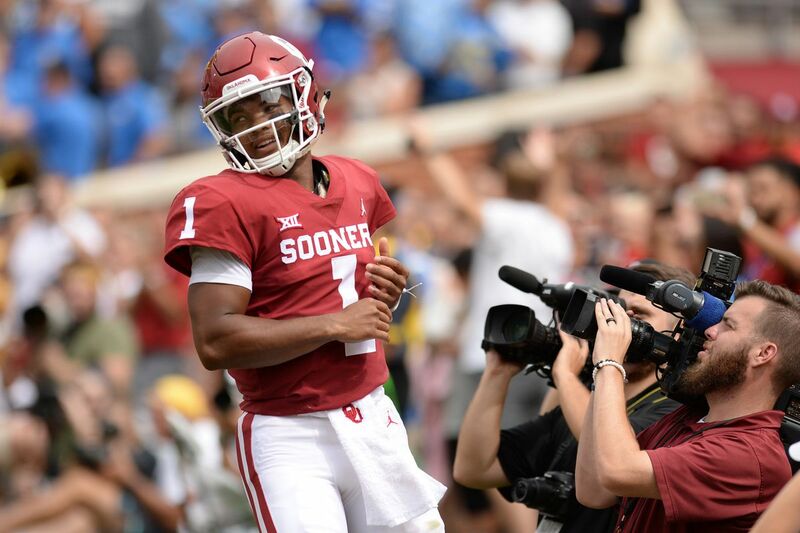 Likely the next signal caller for the Jaguars, Haskins has plenty of NFL-caliber film and a ton of upside considering he had one full year as a starter before entering the draft. That being said, Haskins also has plenty to improve on at the next level and the Jags will need to tune the offense to play to his strengths in the short-term and intermediate. He also may not be available at seven, so the Jags are likely in the conversation of moving up. They may not draft Haskins, but they must mitigate their quarterback situation. The Lions are an intriguing pick at eight. They have some holes to fill and really just can’t overthink their needs. 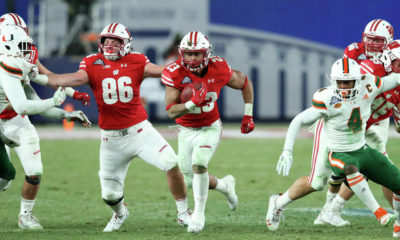 With a huge Senior Bowl showing, Sweat can fill many holes in the Lions D. Blending an outstanding amount of speed with freaky athleticism, Sweat will add some much-needed talent to the edge. Here’s another situation where the Bills might trade down, considering they don’t have a glaring need for a quarterback. The Bills need to primarily focus on maximizing their young quarterback’s potential, and that starts with not having him running for his life 24/7. Taylor is a beast, and nothing short of it. He quite possibly could play at either tackle or the guard position and dominant at it immediately. 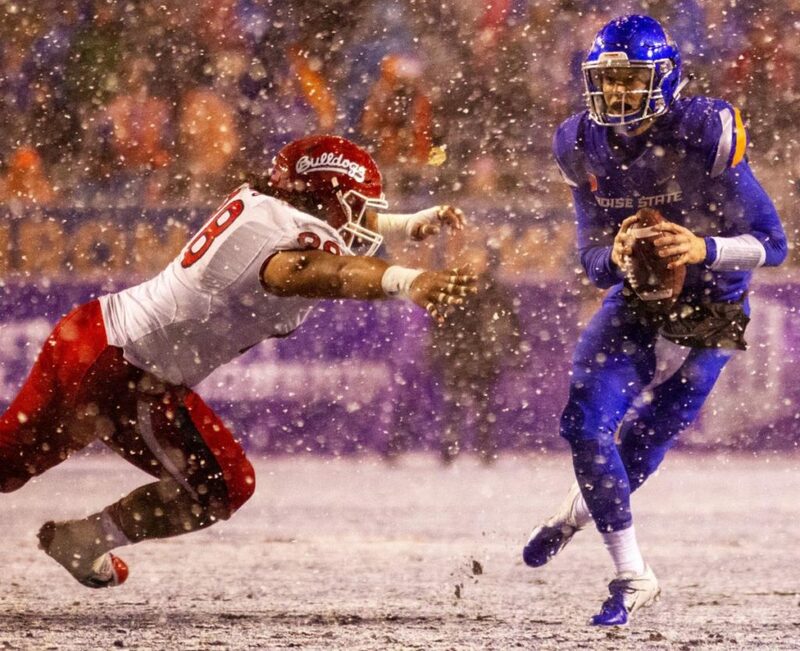 Elway clearly is in love, so this is one of the more sure things of the draft. Or at least for now it is. 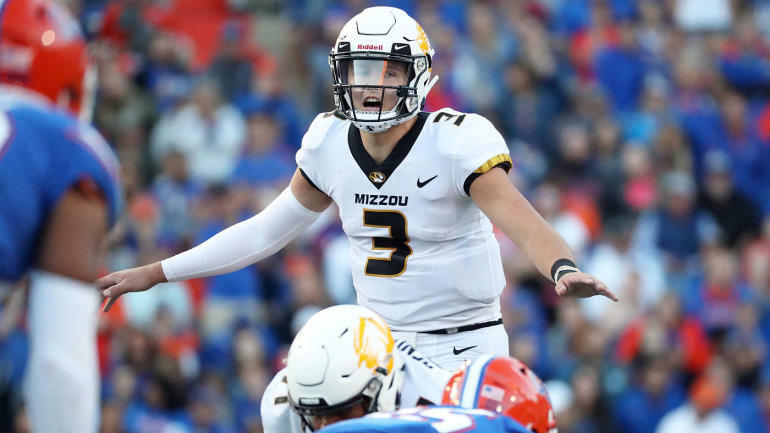 I like Drew Lock, but I certainly don’t think he is first round talent, let alone top ten talent. But Elway will get what he wants. This pick just makes too much sense to me. The Bengals need a ton of explosiveness, athleticism, and leadership. Devin White brings all that with less drama than the average Cincy backer. If available, this pick is a no-brainer for me. LaFleur and the rest of Wisconsin probably want to add to the weaponry of Aaron Rodgers here, but that can wait. I promise. For now, let’s fix the mess of a secondary they consistently put on the field the back half of the 2018 season. Thompson is a freaky athletic, aggressive by nature safety who is also an excellent run defender. While I do believe Tannehill’s time is done, I find it more likely the Dolphins figure that out in FA and possibly take a quarterback later in the draft to nurture behind a vet. For now, it’s EDGE season. 19.5 tackles for loss, 11 sacks, 6 forced fumbles, 4 pass deflections in an impressive Junior campaign for Polite bring his name to the conversation. With an explosive first step and sneaky flexibility, he is a clear issue on the edge, and the Dolphins could use that help. With plenty of options at 14, the Falcons have a big decision to make. I think they add another massive force to their defensive line and become an even bigger nightmare for opposing offensive units. With elite gap penetration and excellent timing, Jeffery could be an instant monster. Uncertainty for Alex Smith in 2019 leads the Skins to an interesting position. 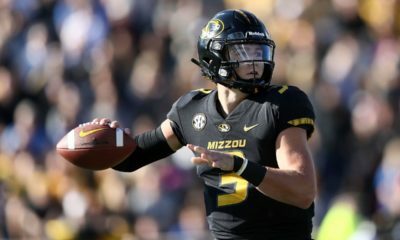 While some may argue that, regardless the Skins should draft a wide receiver here and wait for a quarterback, I’m going to assume the market for quarterbacks starts to scare the quarterback-needy teams by this point and they put the needs for an outside threat on hold for well…someone to throw it to him. Rypien is your guy. He doesn’t ‘wow’ with arm strength, mobility, or size…what? Yeah, well he is a pre-snap wizard with a load of accuracy and uncanny anticipation. If he can perfect touch, and intermediate/deep passing mechanics, he could be a field general in the NFL for a while. At the very worst, he’ll be a more than competent backup. Risky, but worth it. Not to mention, he is the nephew of the Redskin great and Super Bowl XXVI MVP Mark Rypien. With a unique set of skills, including natural strength and fluid movements, Ford could step right in and make Cam Newton’s days A LOT easier. Not to mention, Ford can play either guard or tackle. Versatility, power, agility, technique–Ford checks all of the boxes. Many are saying the Browns will buff up the defense with this pick, mainly at DB. I would like to see the Browns add some extra protection to Baker, and Risner is the perfect choice. Risner is a technician who can essentially line up anywhere and contribute immediately and effectively. I don’t mind the Browns going defense here, but if they don’t, Risner should definitely be the pick. Minnesota needs help, badly, on the offensive line. Like, real help. Lindstrom, or at least two other prospects available, can immediately be the best interior offensive linemen on the Vikings. Ferrell would be an absolute steal for the Titans here, and I don’t think they can miss. With 20 tackles for loss, 11.5 sacks, two pass deflections, three forced fumbles and two recoveries with one for a touchdown, Ferrell clearly likes to be around the ball. The Titans need someone like that to relieve the secondary of some of the pressure. CB1 at 20? Steelers fans finally get something to go right for them with an outstanding playmaker that has all of the tools to be the defensive force the Steelers have been looking for. Murphy is slightly undersized, but has a quick burst and ridiculous coverage skills. As much as Pete Carroll wants to draft a certain 6-2 CB here, he knows he should mend the damage at safety first. 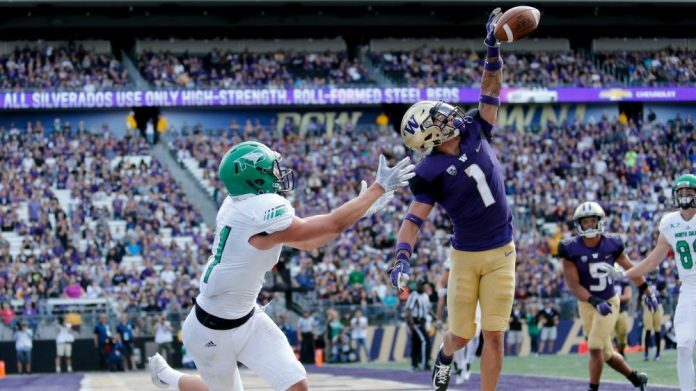 In his efforts to rebuild the L.O.B., Seattle is still rewarded with another aggressive Washington product in Rapp. With the ability to play multiple roles while possessing every down physicality and heady decision making, Rapp seems to be a perfect fit. With not many needs, but a few glaring holes, the Ravens will look to grab a Terrell Suggs replacement. Yeah, they could go receiver or o-line, but we’re talking about the Ravens here. Plus, Bush deems a perfect fit with not only his style of play, but high IQ and chippy personality. Okay, so if the Texans don’t take an offensive lineman here, and probably on multiple other occasions in this draft, Deshaun Watson should request a trade. There isn’t a better school to take one from than Wisconsin. This is where the Raiders get REAL FUN. I love this pick. 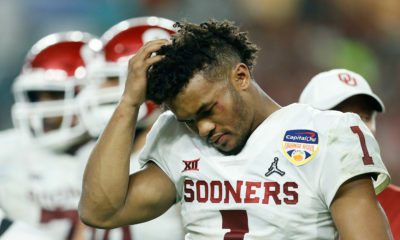 I also love the drama surrounding not only the Raiders franchise, but Kyler Murray in his own right. If we’re talking solely skill set, I think Murray is QB1 in this draft, but all of his extracurricular activities scare me away. With that being said, he’ll probably end up in some crazy scenario anyway, so why not with Jon Gruden and Derek Carr? Welcome to Vegas (or San Fran), Kyler! Jim Schwartz wants, and needs, to add some madness to this defensive front. That’s exactly what Clemson defensive linemen do. At 6’4, 300 pounds, he doesn’t possess huge mass, but makes up for it with agility. His versatility is ridiculous at his size, and although there is plenty of room for improvement, he will enter the league with a start floor and no ceiling. With home run picks in last year’s draft, the pressure is on to repeat the success with another splash pick. This time with needs for a talent on the outside, the pick is on best available basis with a loaded class. Gary has the versatility to be the man wherever the Colts need him to be. Man, the Raiders keep getting cooler and cooler. Metcalf is a beautiful addition to a receiving corps that, well, isn’t much of a receiving corps. Bet you can’t name two, and I’ll give you one–Jordy Nelson. That being said, Metcalf was recently cleared for football activities after a season-ending neck injury. Talent like this doesn’t come around often, and it’s exactly the type of talent to turn offenses up a notch. If there’s any team that needs multiple notches turned twice, it’s Oakland. Gruden won’t pass up on this dude. Are you ready for nonsense? Melvin Ingram, Dexter Lawrence, Joey Bosa. That’s nonsense. Enough said. Dexter Lawrence shows impressive abilities that suggest he’ll have instant success as a true nose tackle in the NFL. Let’s help out MVPatrick guys. Best way? 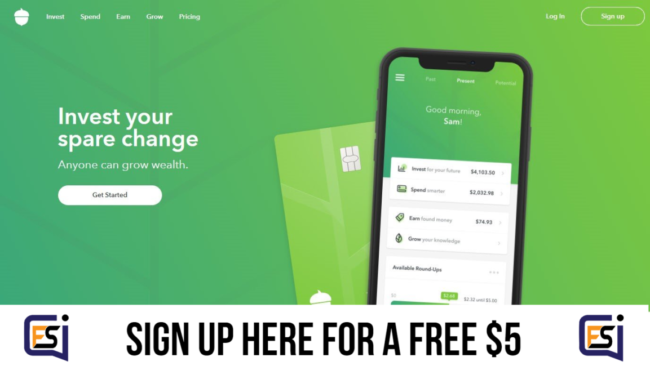 Get some secondary help. A leader! Nasir Adderly could be the future of the Chiefs secondary. His physicality is something that Kansas City could desperately use. He didn’t see a ton of action, but definitely made the most of it. The biggest concern will be acclimating himself to the speed of the NFL. After that, the ceiling is non-existent. A tremendous tight end talent in this draft to add a weapon to Aaron Rodgers’ arsenal, whichever pick you make will do good service. I think Hockenson fits Rodgers’ heart the most. He’s a throwback tight end, but can be a monster in the passing game in whichever way needed. The offense instantly gets better with a talent like this roaming. A bad unit just got a lot better. He’s a tremendous talent with a ton of upside, great ball skills, and plenty of length and speed. The Rams could benefit from his useful talents and Williams himself could benefit highly from some good coaching. The Patriots are at a desperate need for playmakers on the outside, on all sides. With nobody on that offense getting older, it’ll soon be time to add another face to the mix of champions. Harmon is a 6’3 badass, coming off of back-to-back 1,000-yard seasons. He is a workhorse on the block, with underrated speed and can do it all from the slot.